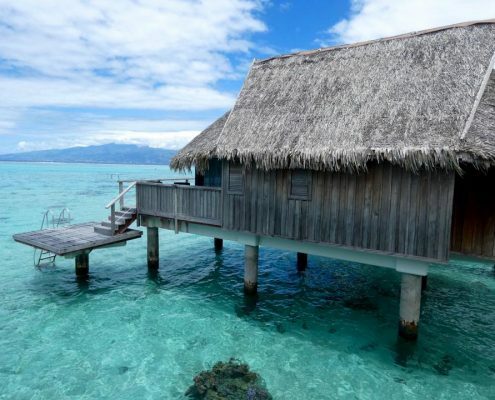 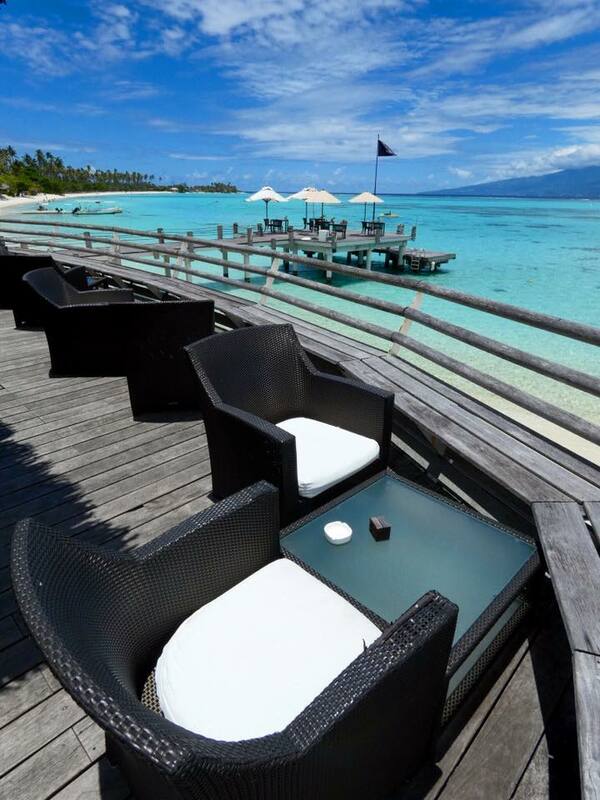 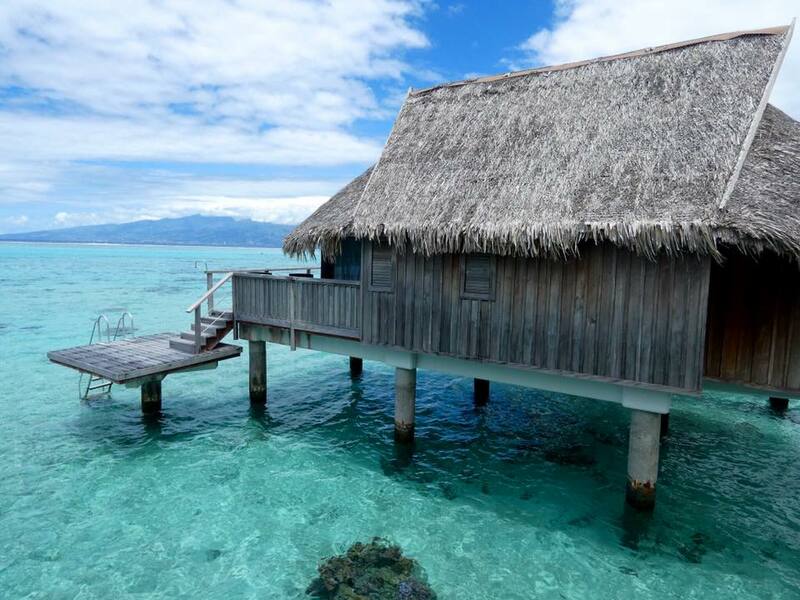 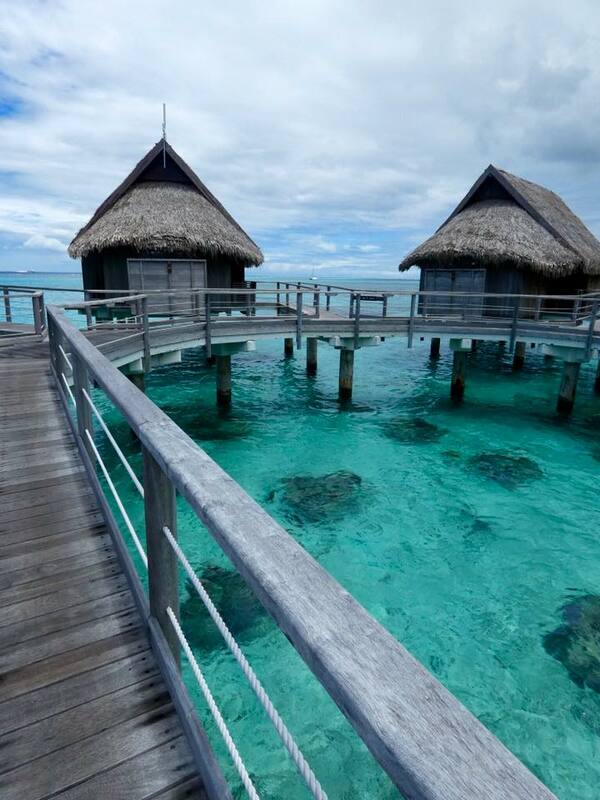 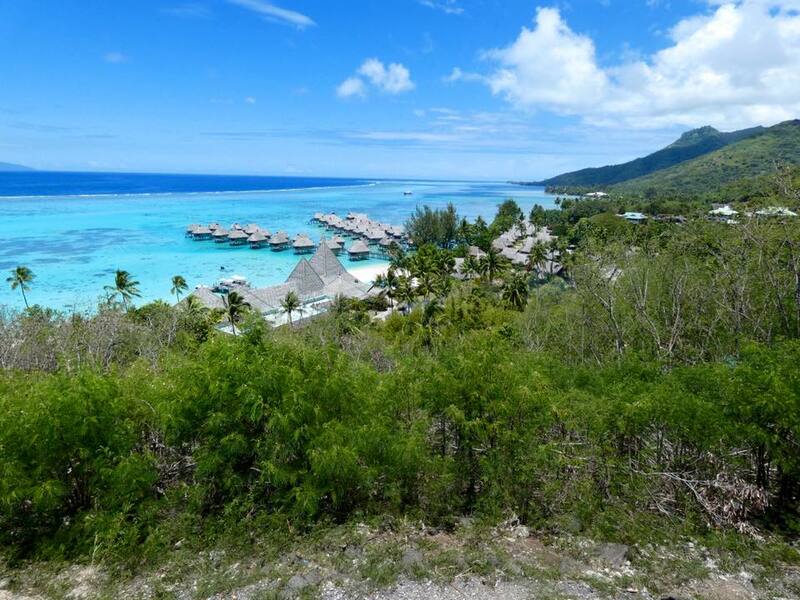 The Toatea Lookout on the western shore of Moorea island faces the silhouette of Tahiti in the distance, the most incredible hues of azure and blue of the Moorea Lagoon closer to shore and an almost dream-like Sofitel Resort, the best luxury hotel on the island. 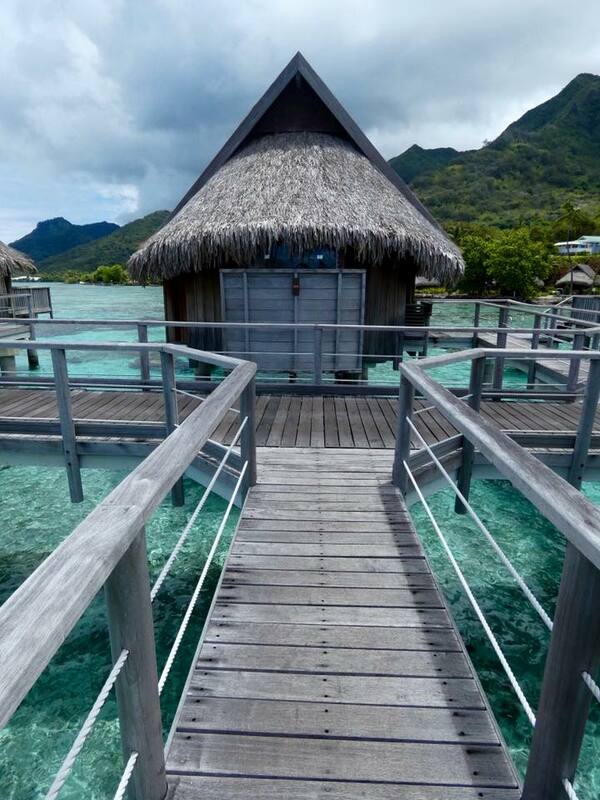 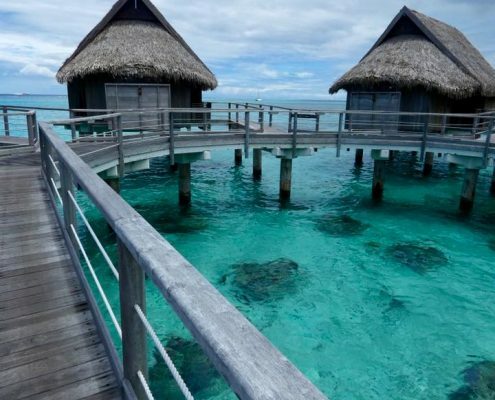 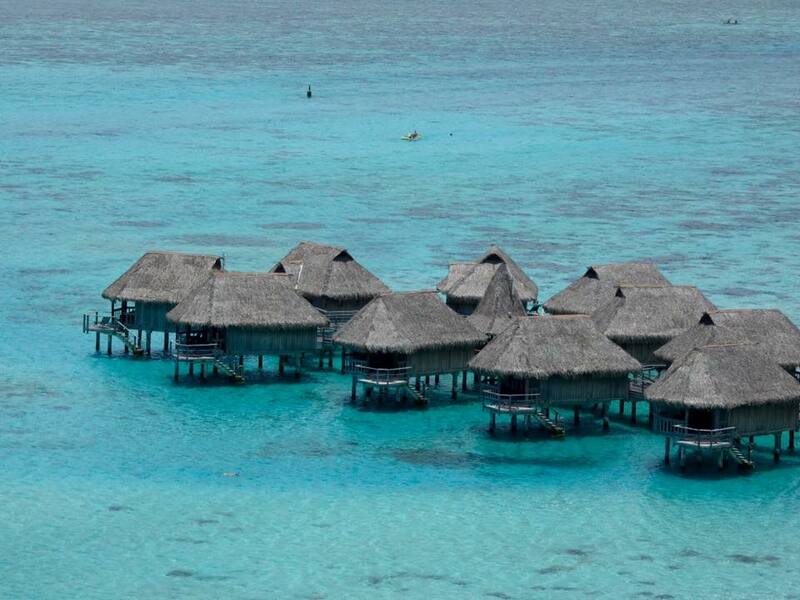 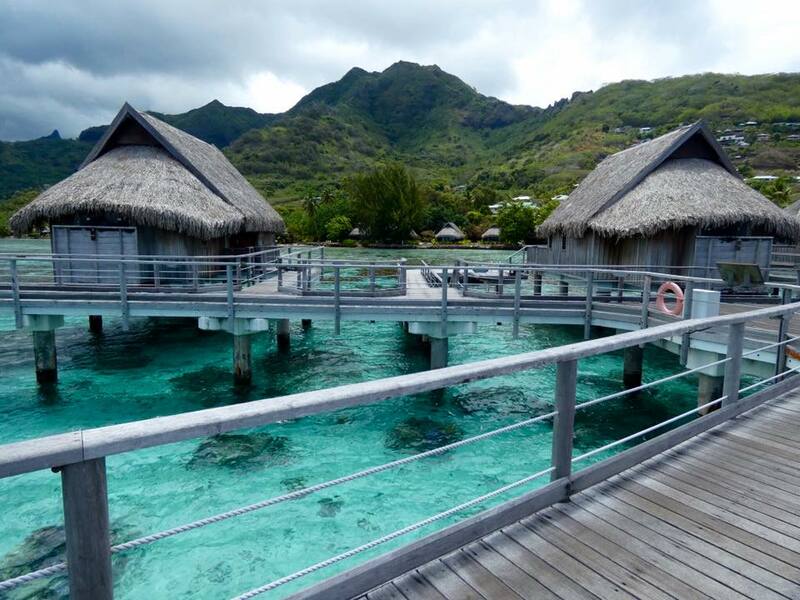 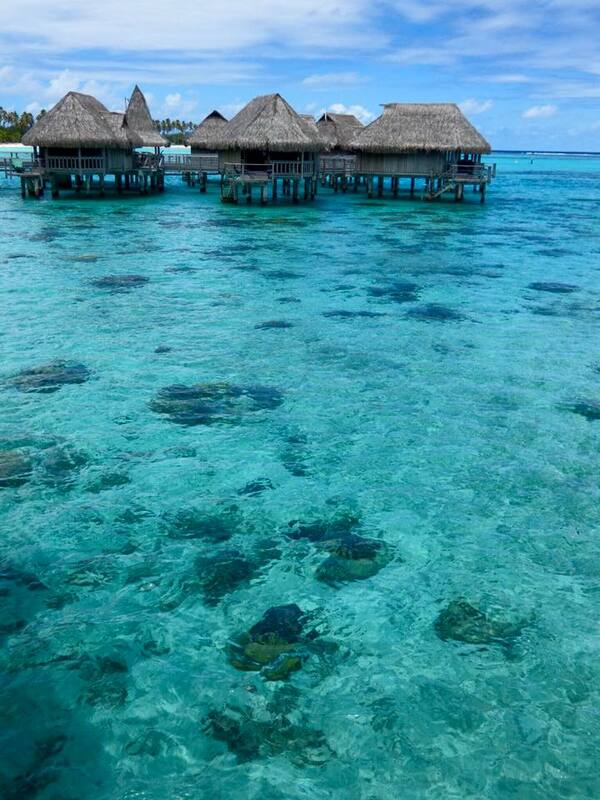 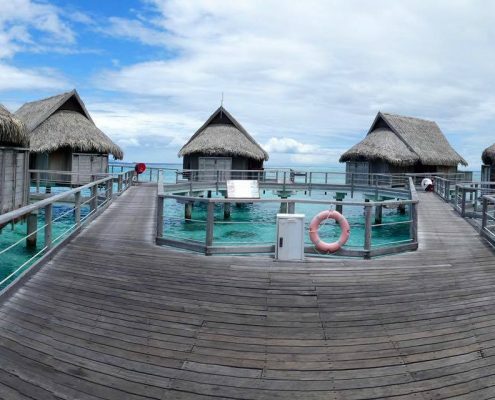 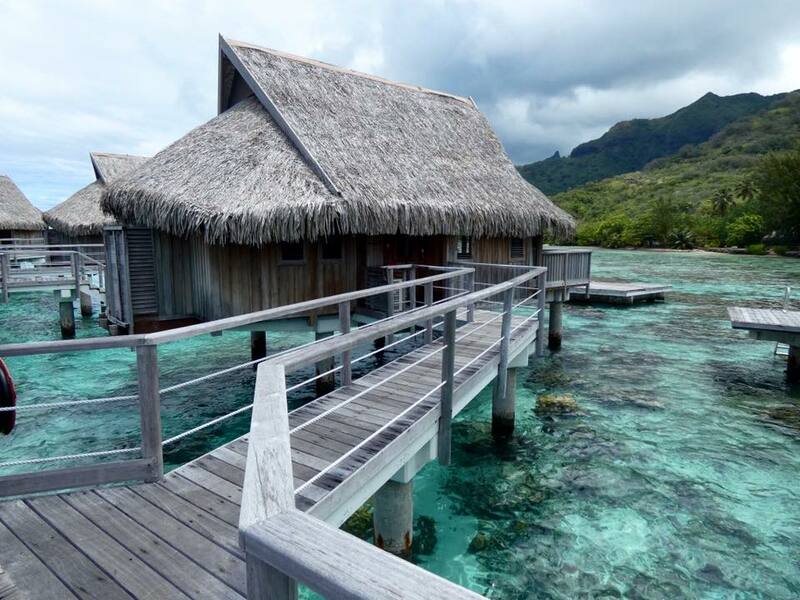 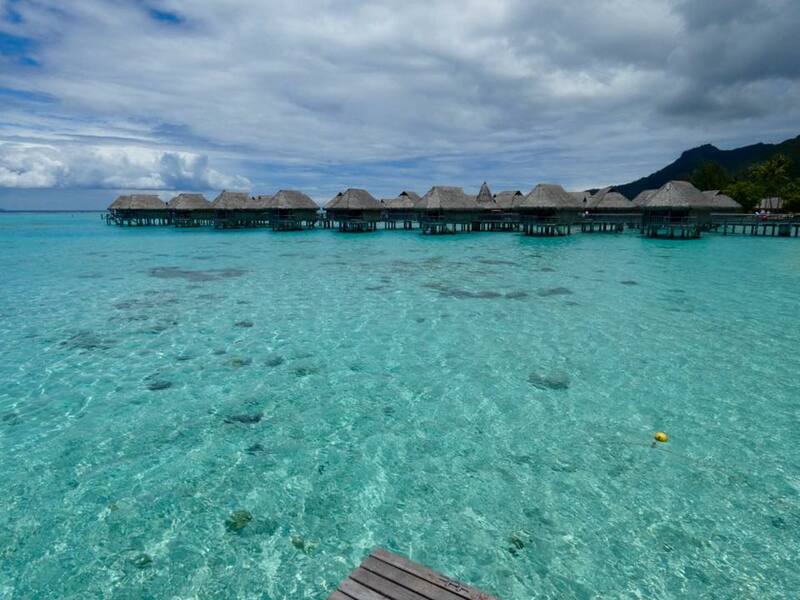 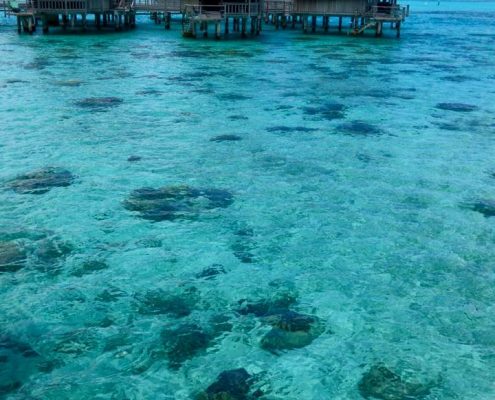 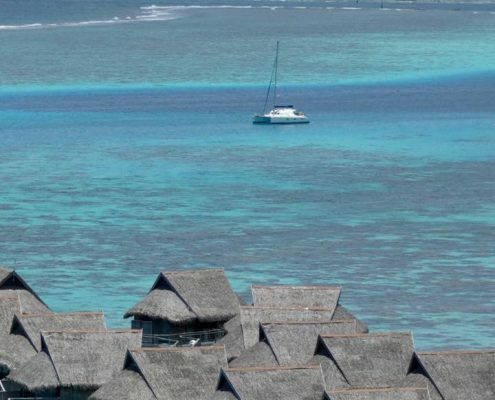 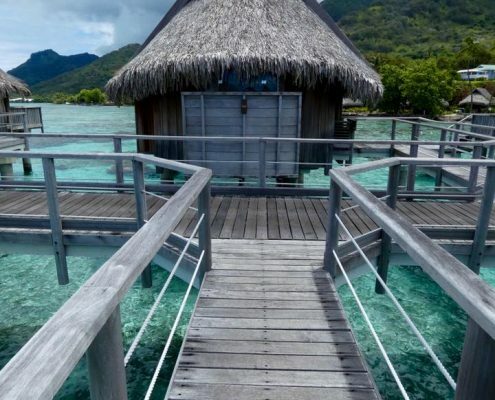 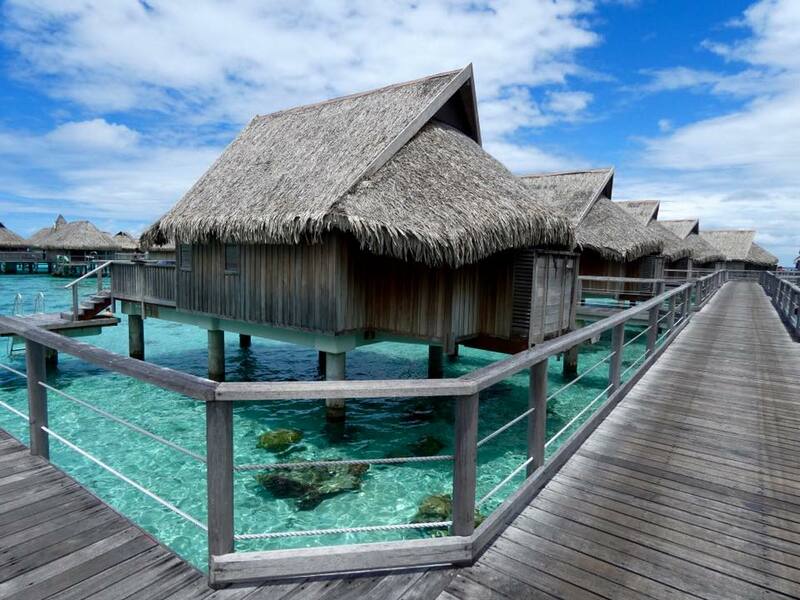 The rings of thatched-roof overwater bungalows put your just steps (literally) away from snorkeling over the spectacular reef. 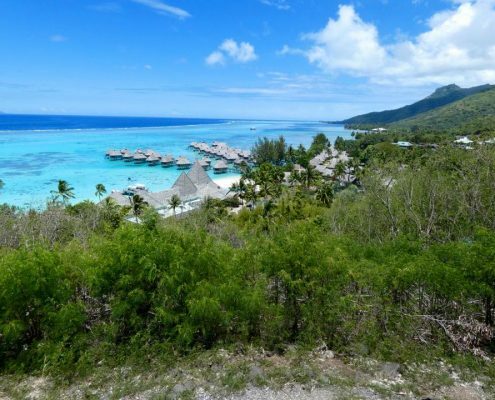 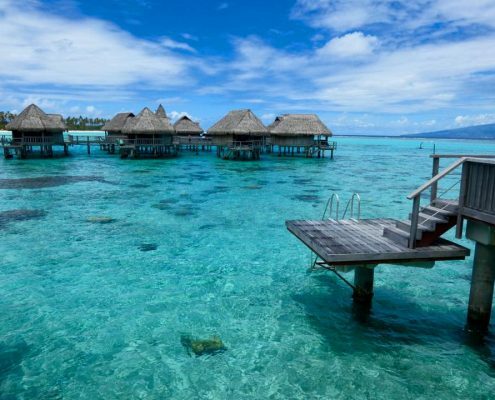 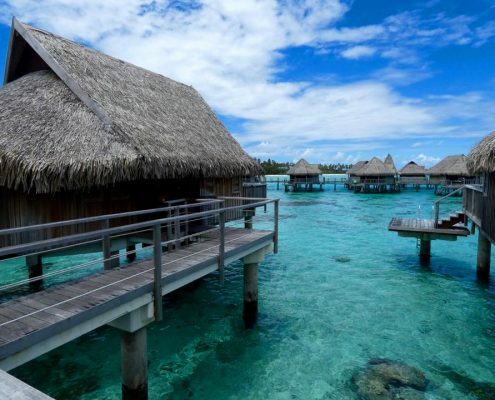 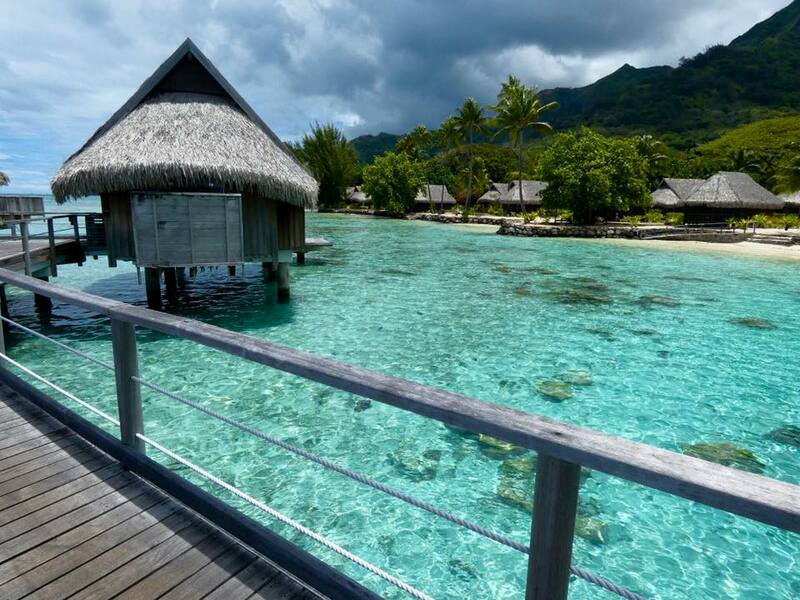 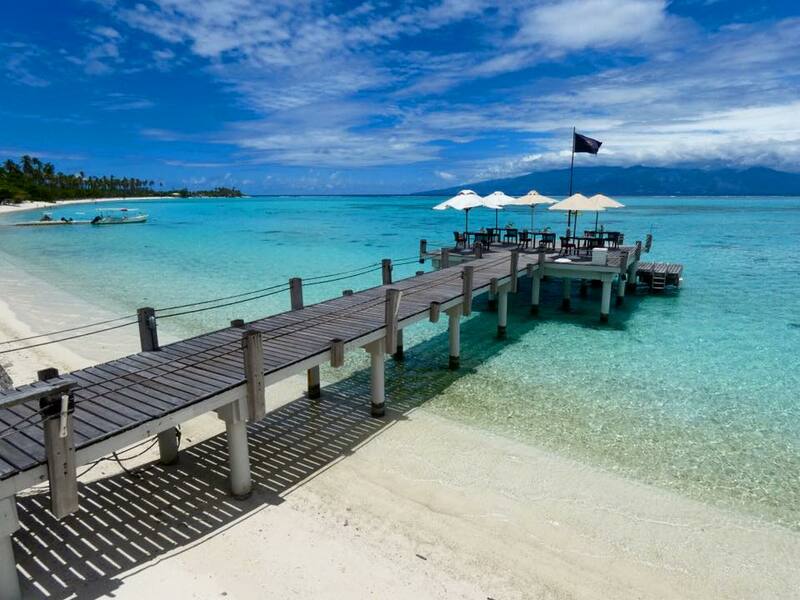 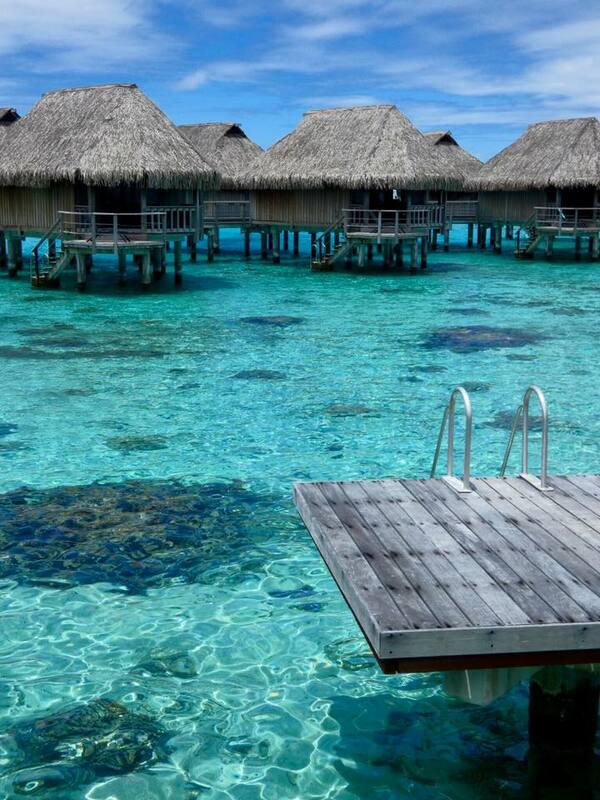 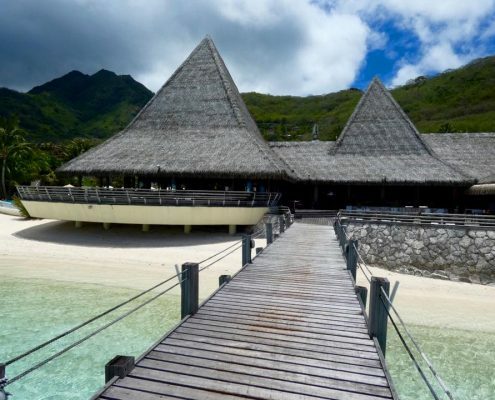 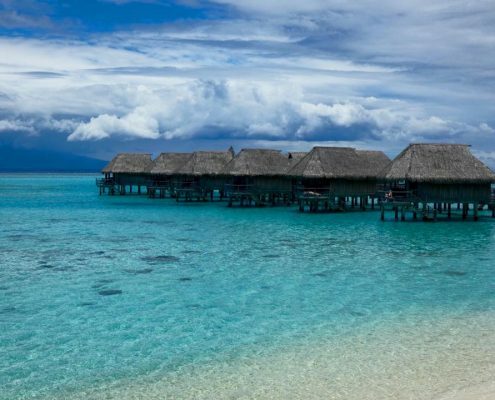 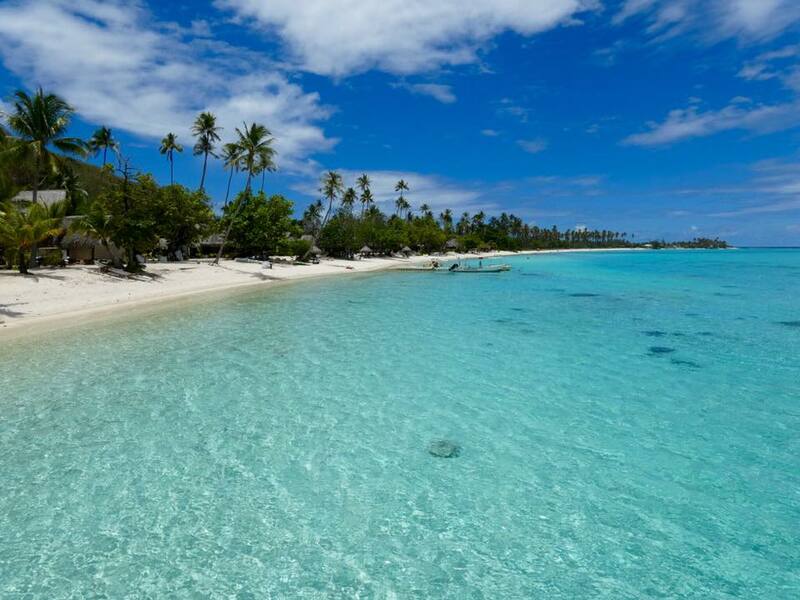 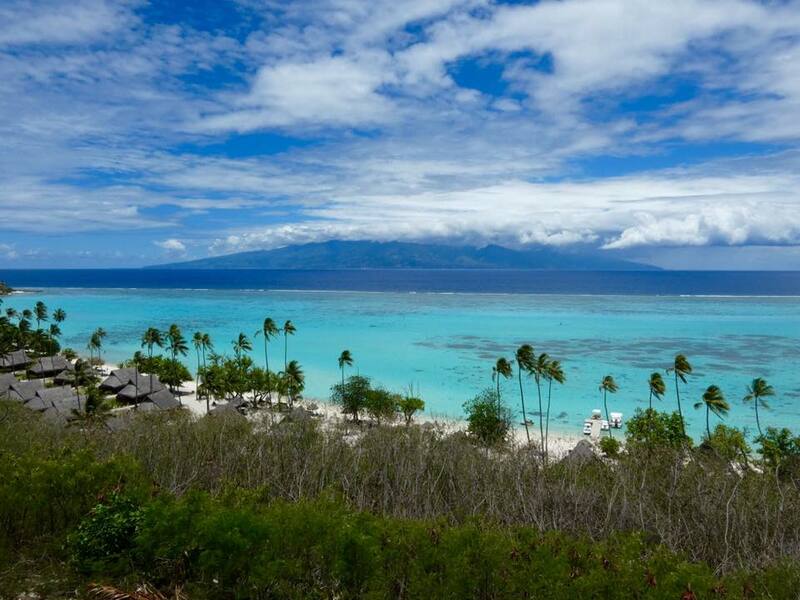 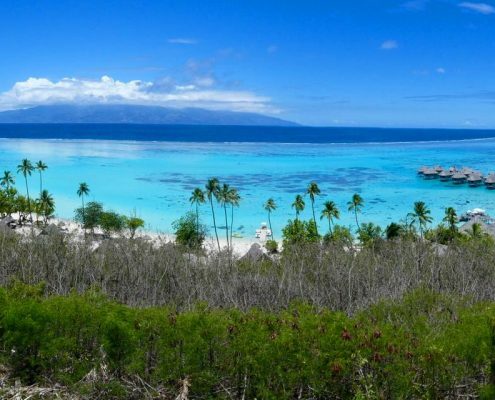 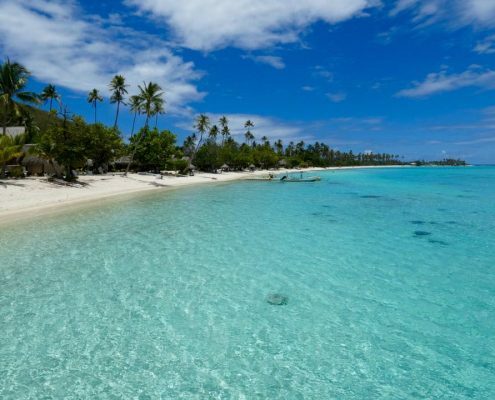 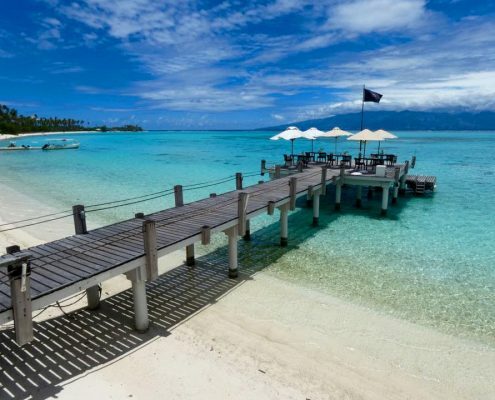 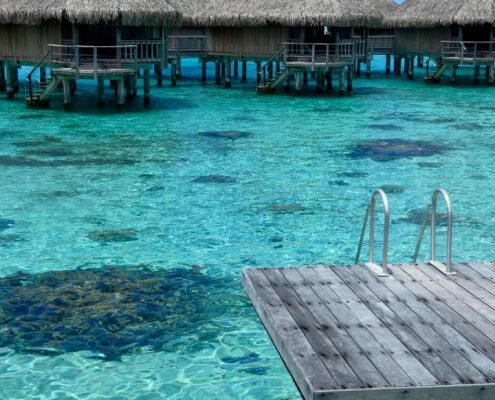 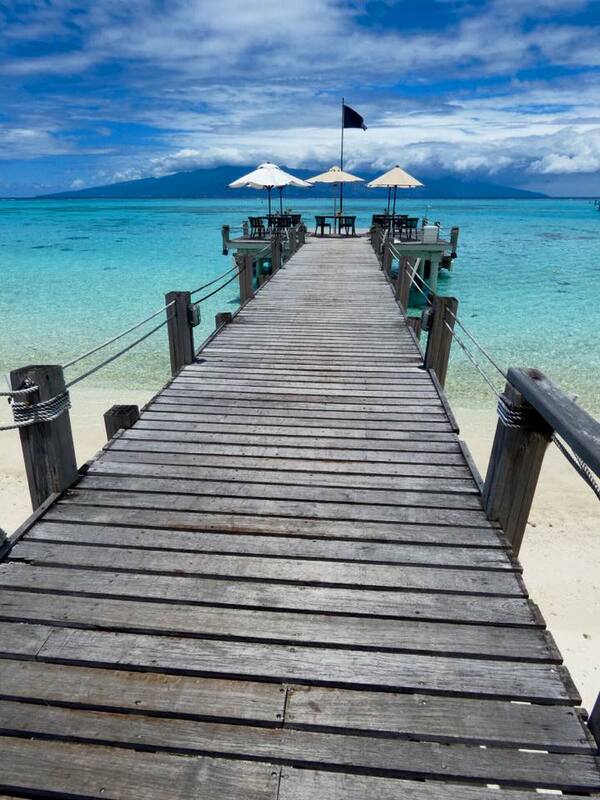 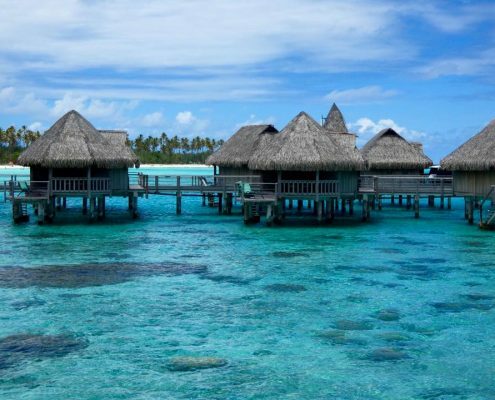 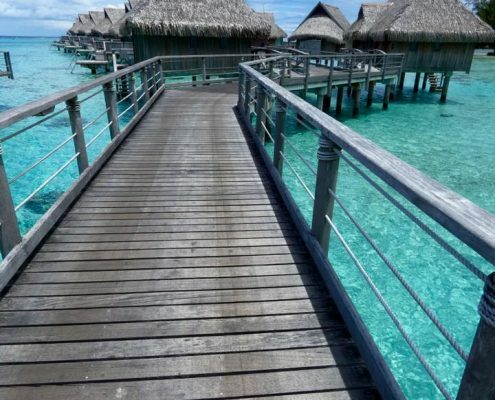 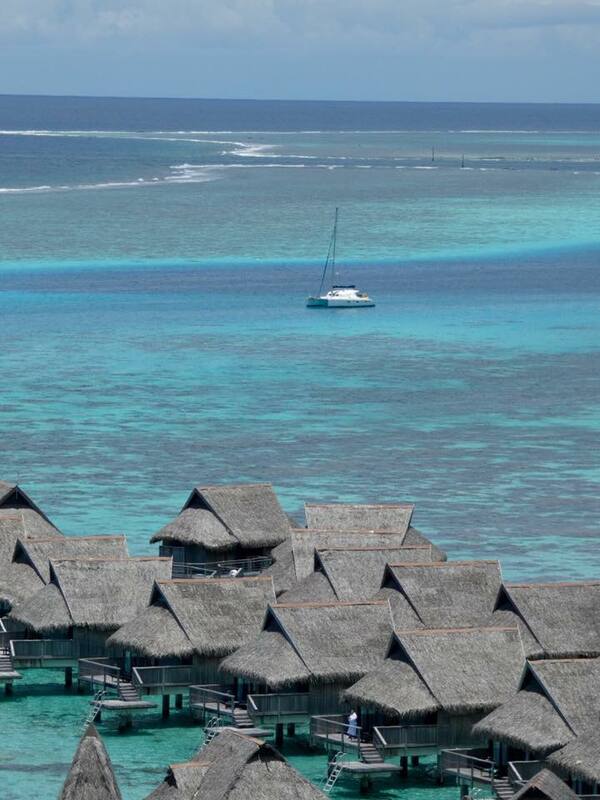 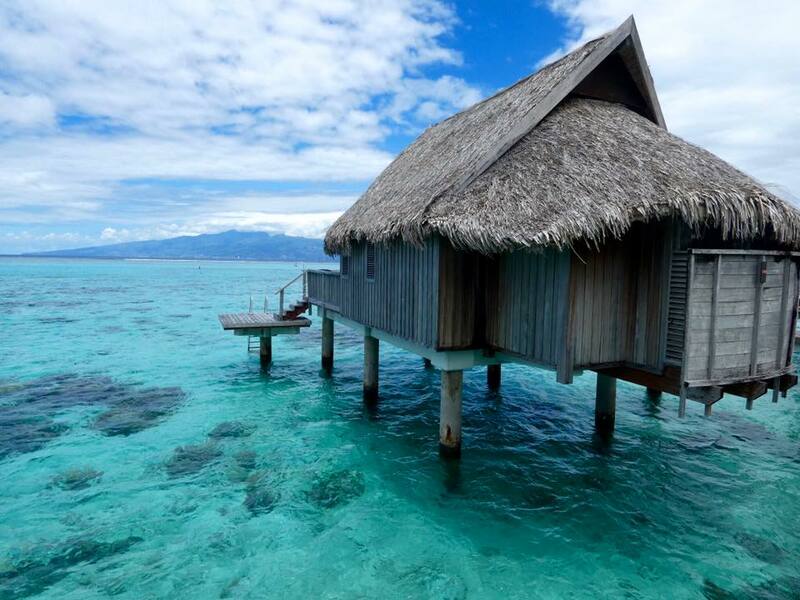 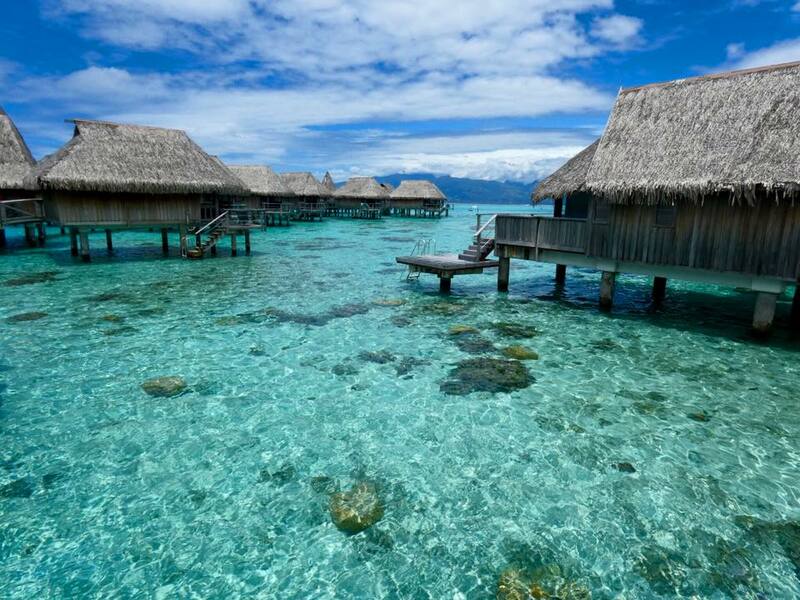 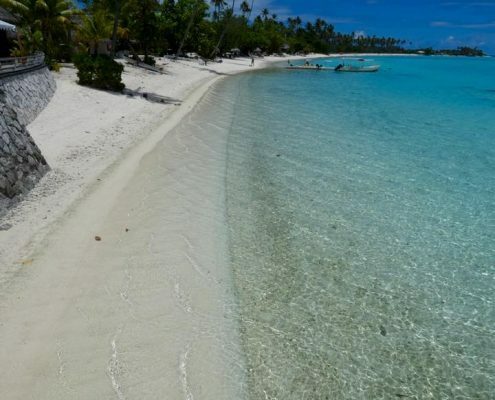 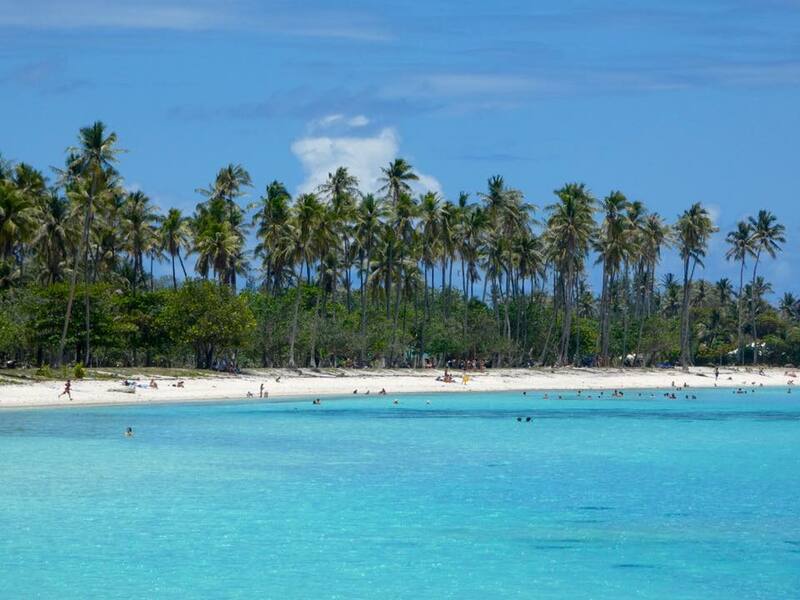 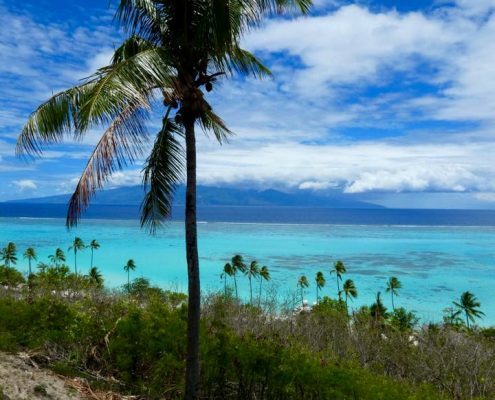 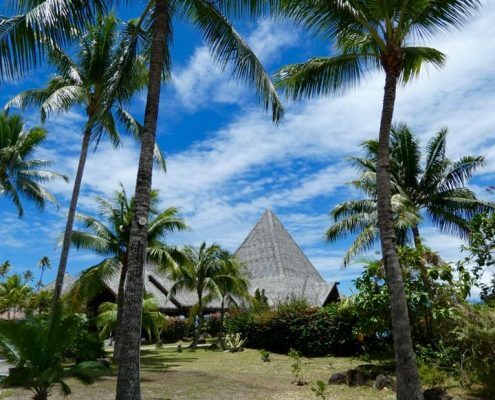 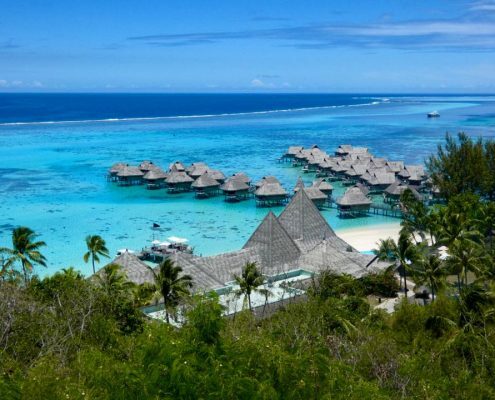 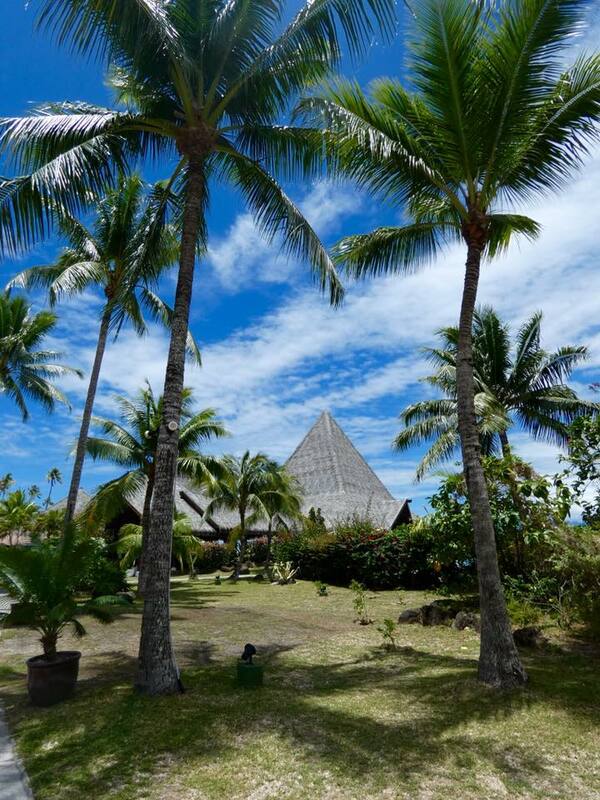 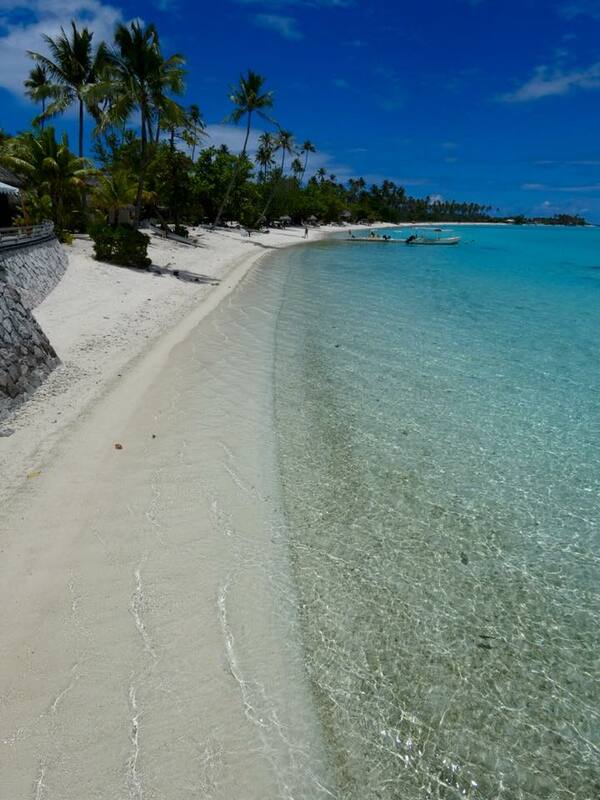 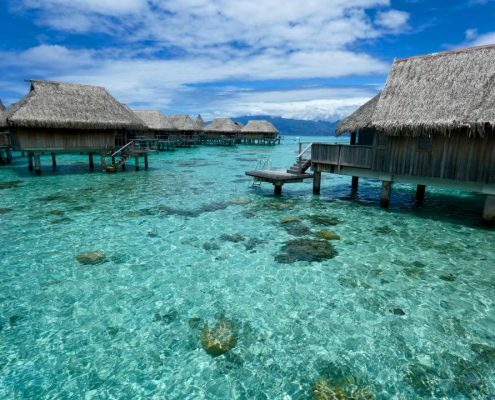 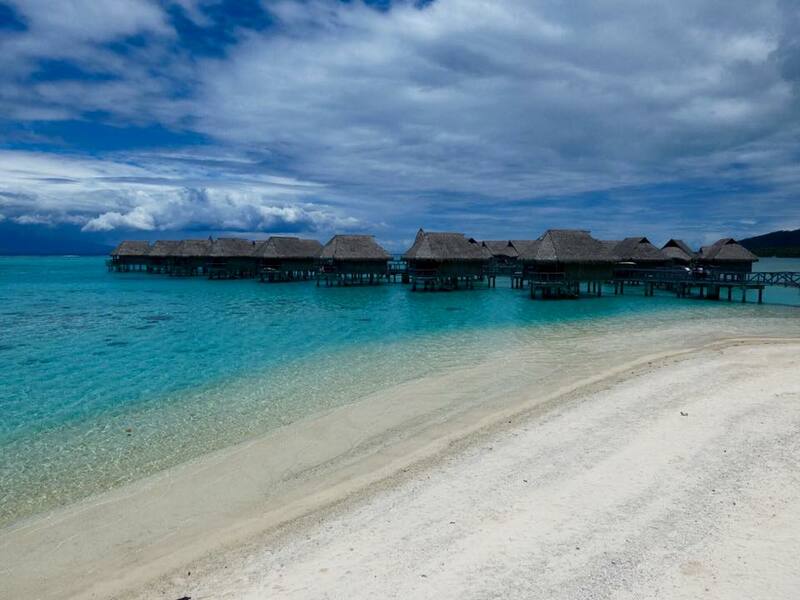 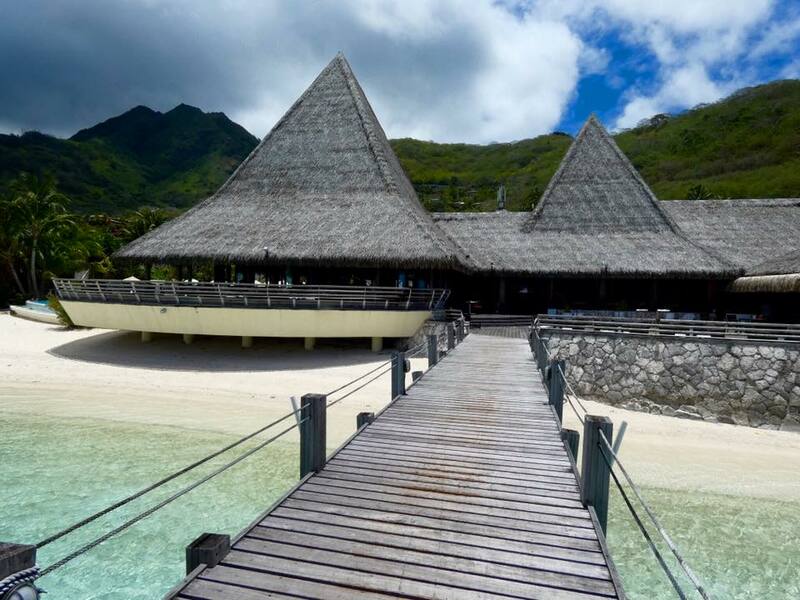 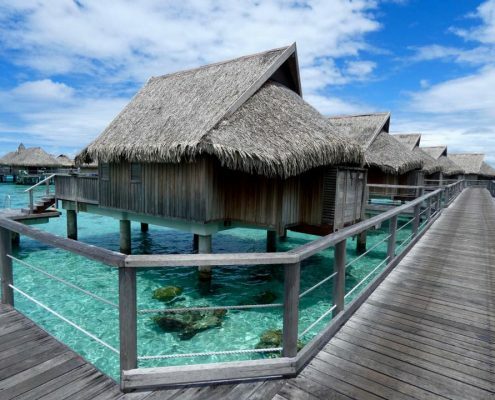 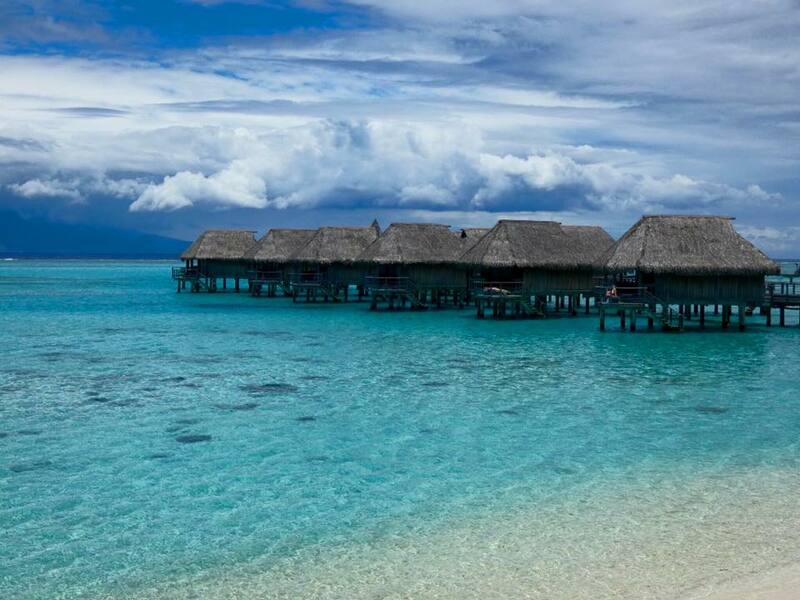 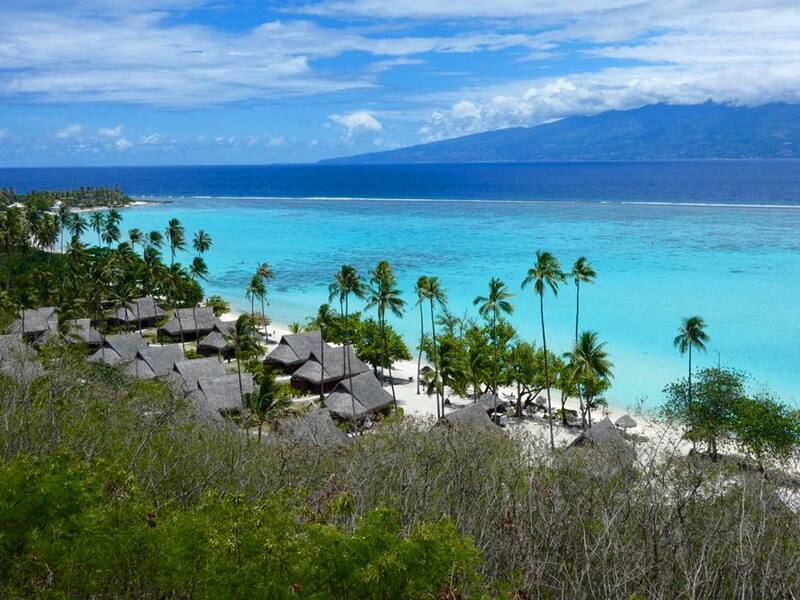 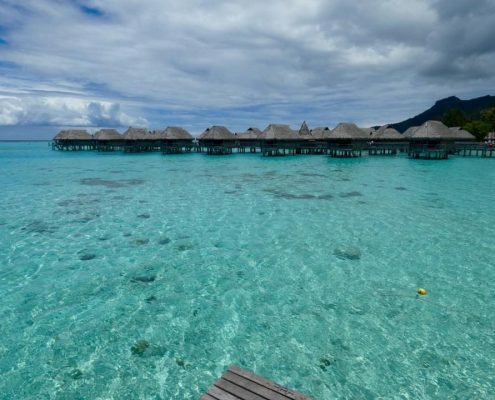 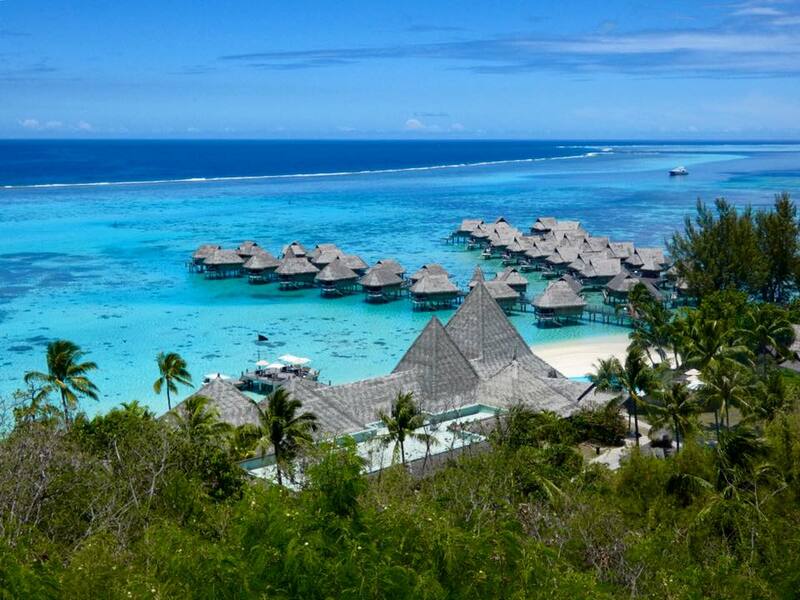 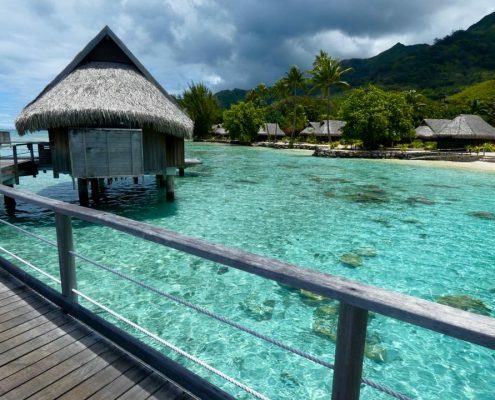 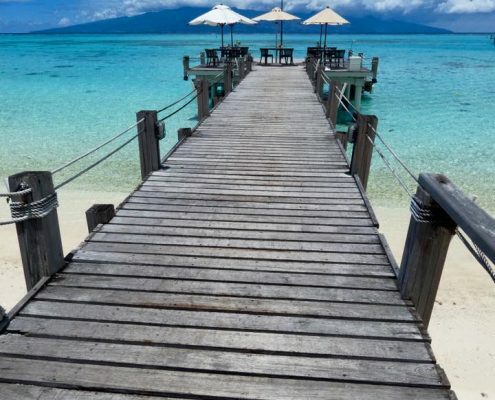 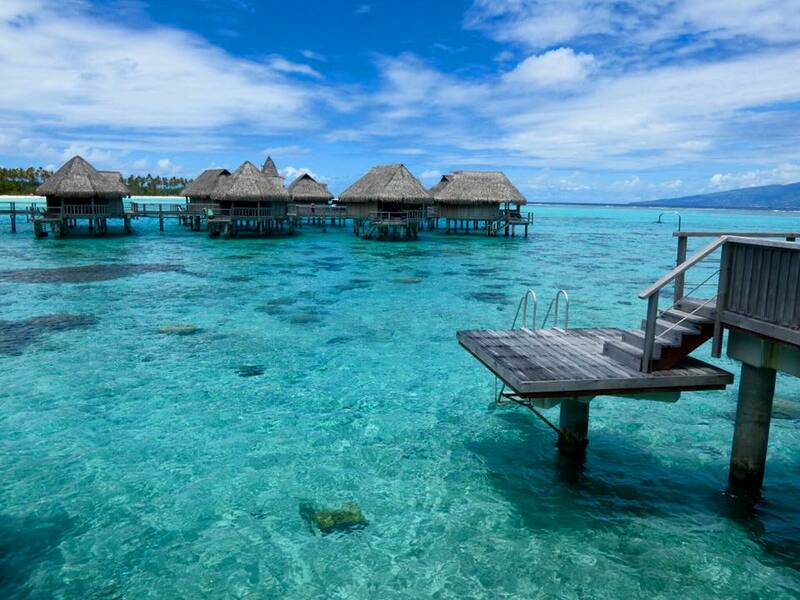 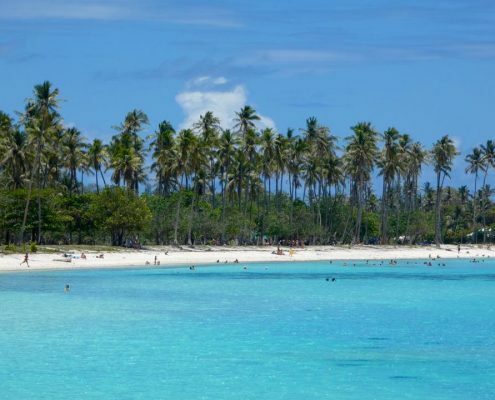 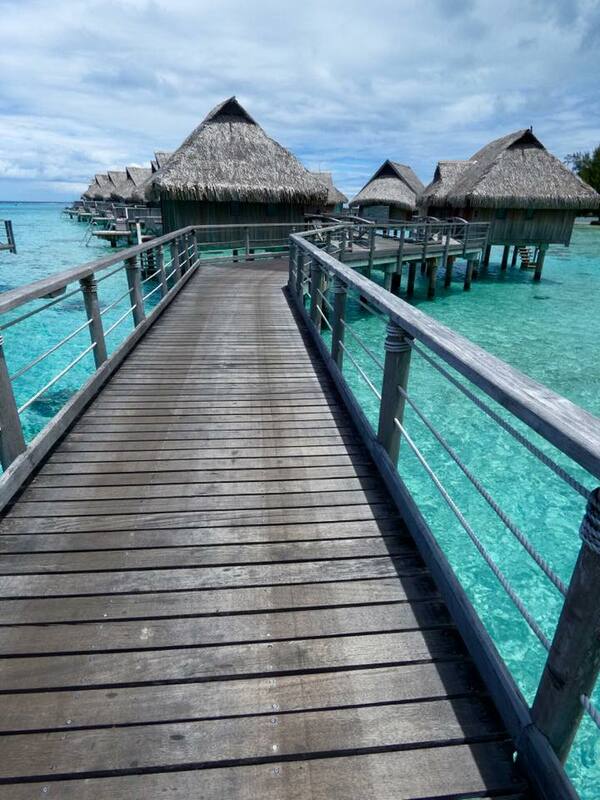 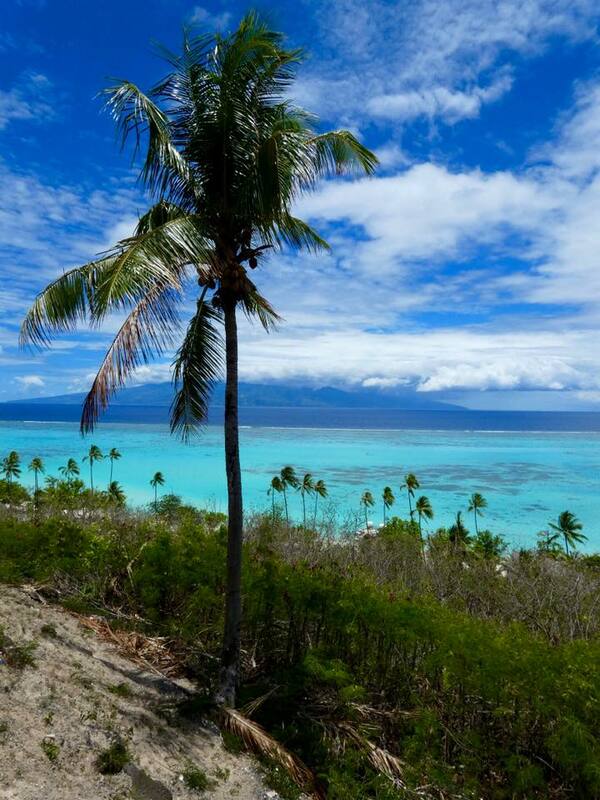 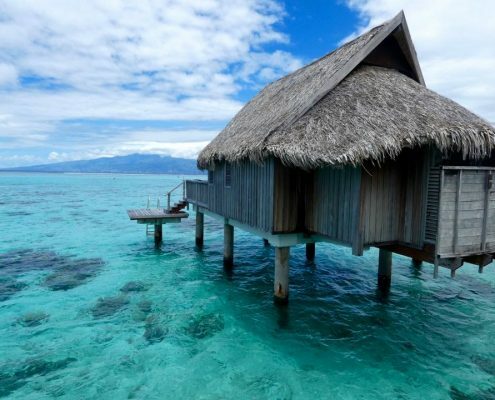 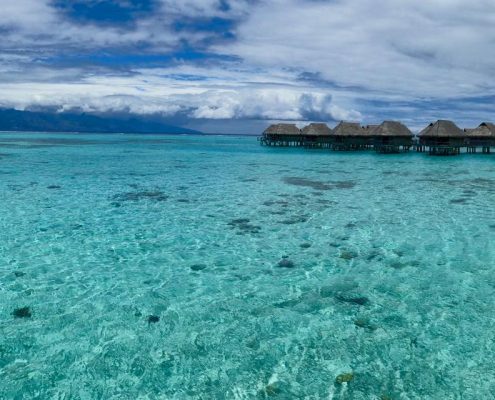 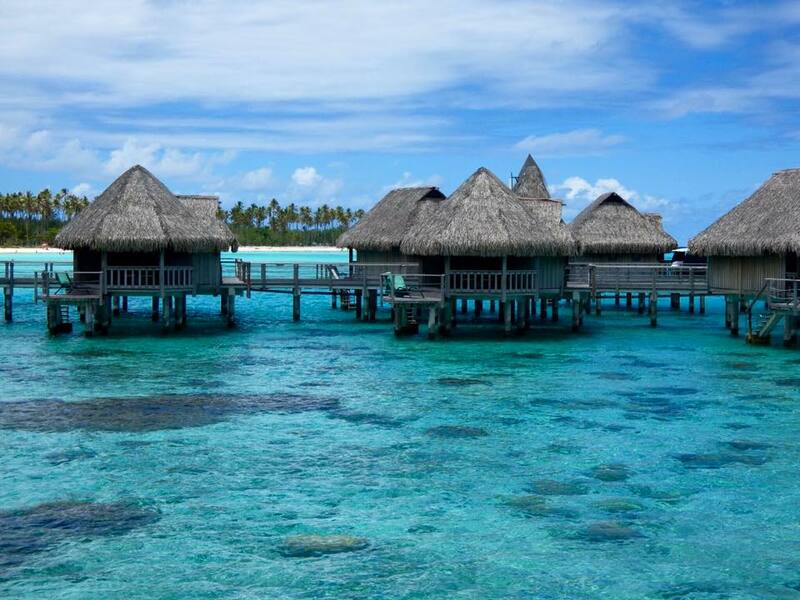 Just to the left lies the best beach on Moorea, Temae, with the longest and widest stretch of super white sand. 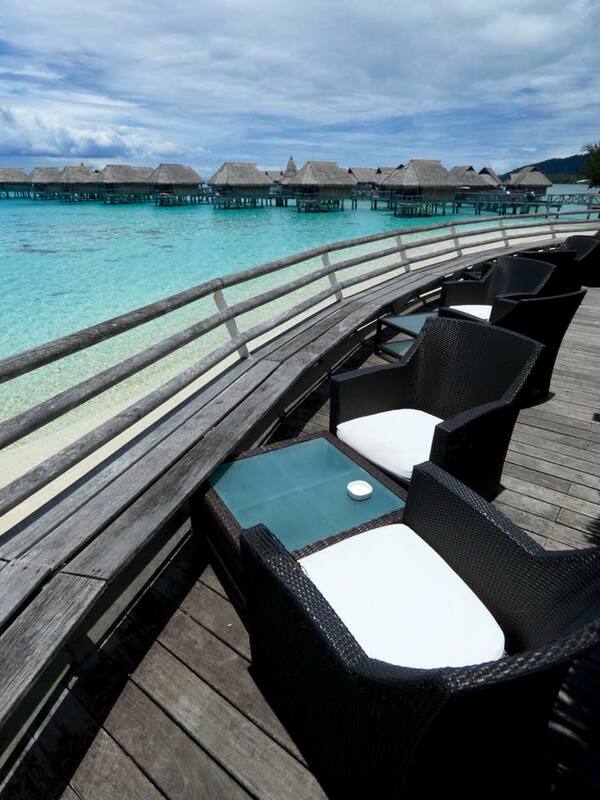 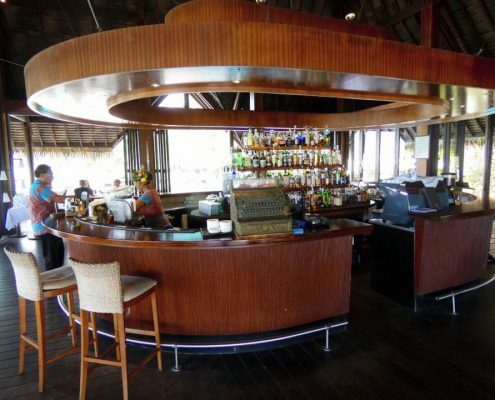 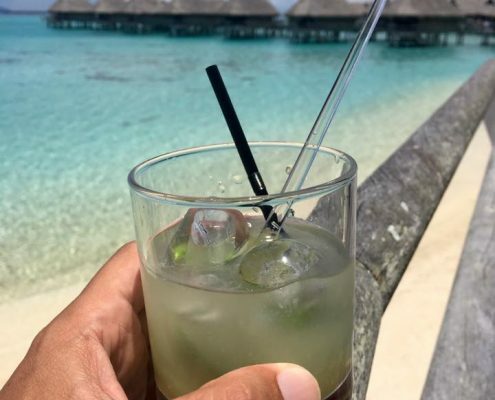 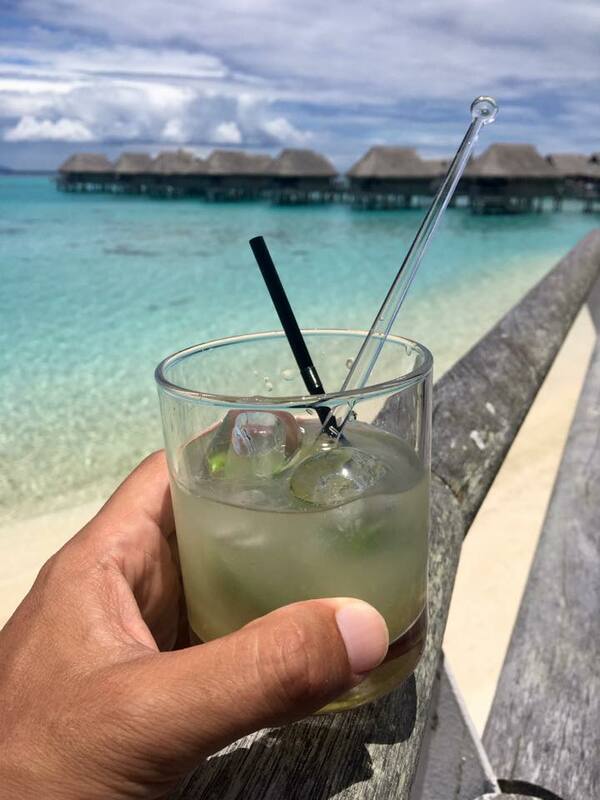 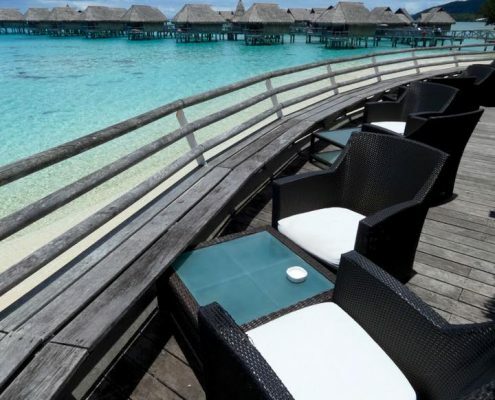 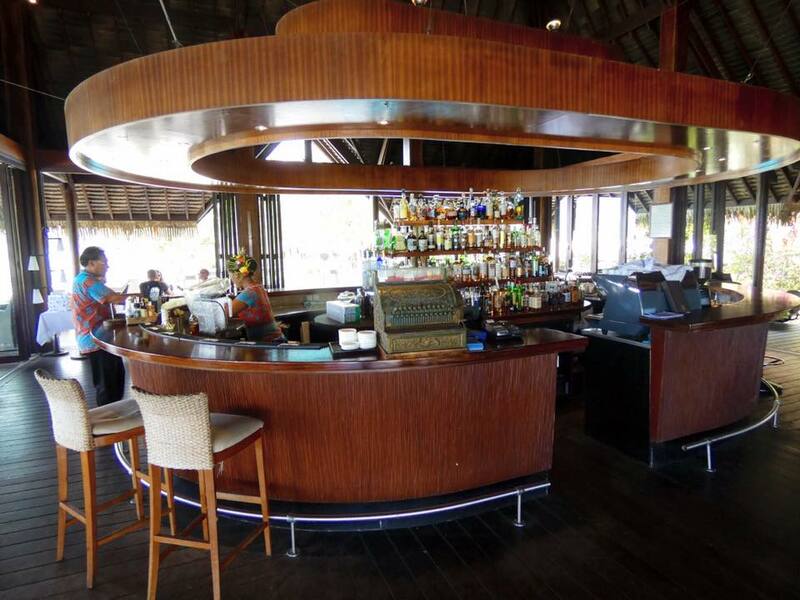 Or you can just sit at the beach front restaurant deck and sip on Tahitian Ti Punch (just rum and lemon and sugar, so like caipirinha, it does punch you quick).